A Woman is No Man is tour de force - Etaf Rum has written an absolute triumph of a novel, with such heart and bravery. One of the first things I loved about this novel is that it is about characters that love literature. 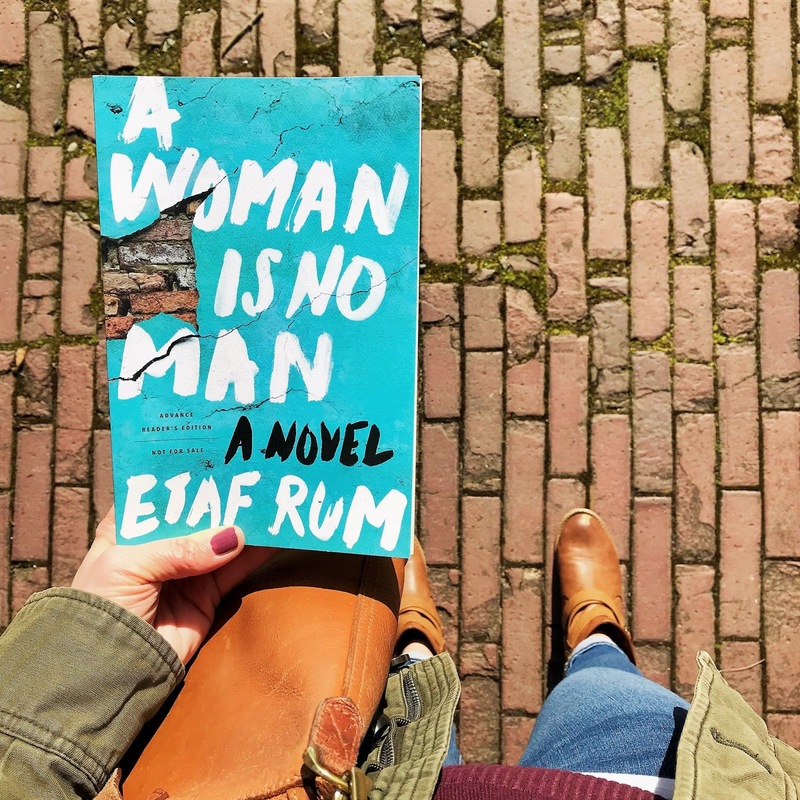 Books about books or bookish people tend to resonate, and Rum brilliantly weaves the importance of reading into the story - how it connects us to others, to understand the world, to give us hope, and ultimately so we can understand ourselves. Given the author's background as a child of first generation Arab immigrants, I'm bowled over by her strength in telling this story without holding back many ugly truths about her culture. Not only for fear of blowback from her community, but the fear of reinforcing existing discrimination. Through her characters, I felt as if she struck an excellent balance of exposing the realities of their existence as well as their strength and potential. "Too often being happy means being passive or playing it safe. There's no skill required in happiness, no strength of character, nothing extraordinary. Its discontent that drives creation the most--passion, desire, defiance. Revolutions don't come from a place of happiness. If anything, I think it's sadness, or discontent at least, that's at the root of everything beautiful." I am partial to stories with multiple narrators and the author seamlessly pivots between Deya and Isra, and sometimes Fareeda, Deya's grandmother. They are written with such authenticity and empathy, I was so invested in how their lives would unfold. I also had so much righteous anger on their behalf, on behalf of all Arab women, that I read with such a sense of urgency. The plotting was totally on point, with Rum dropping absolutely shocking details as I pieced together Isra and Fareeda's past. "Fareeda knew her granddaughter could never understand how shame could grow and morph and swallow someone until she has no choice but to pass it along so that she wasn't forced to bear it alone." My only critique would be that I wanted MORE. The ending felt slightly rushed and I *think* I know what happened, but it felt nebulous. This is not the kind of book that I could see having a sequel, but I really, really, really would love to read one. Thank you so much to the folks at Harper Books for a free advance copy for review! This was a great thriller! Full review here. I tend to limit the amount of WWII novels I read, since there are so many out there and I don't want to get them mixed up in my head! So, I usually wait to see what rises to the top. This novel was a clear favorite over the last year, and for good reason. Hunter started this book as an investigation into her grandfather's family experience during the war and it's EXTRAORDINARY. Their story of survival against all odds had me up until the wee hours of the night turning the pages. I even cheated a few times and looked a few pages ahead from time to time, which I never do, because I was so invested in the characters. I of course looked up more about them on the author's website - googling afterward is always the sign of an excellent book. I didn’t know much about this book, other than I remembered hearing good things. I decided to jump in without reading the description and loved it so much. I am a sucker for a stranger in a strange land narrative, and Washington Black’s story is a heart palpitating one. The writing is sublime and filled with beautiful language, especially when Washington is immersed in the scientific world. It gets stranger by turns, until coming to a very surreal and thought-provoking ending. Definitely recommend. "His voice had a soothing, loving, everything-will-be-ok growl to it, like the favorite uncle who spends half the cocktail party in the kids' bedroom telling stories, lulling the children into dreams, capable of this magnanimous and lazy lavishing of his adult time in a nursery seeing as he has no hope for his own life, and can give it all away." The boy meets girl from the wrong side of the tracks trope is done well. I was so anxious throughout the book, as their relationship would be tested in so many highly fraught ways. The middle sagged just a little bit, but the ending took my breath away! What can I say about this that hasn't been said already? There's a reason this was the best selling book of 2018 - and it came out in NOVEMBER! I got the audio book and could have listened to the dulcet tones of her confident and soothing voice forever and ever. She is truly a gifted storyteller, in addition to the multitude of her impressive accomplishments in her own right. I loved the metaphor she used about learning to play the piano throughout the book, and feeling like I got to know some of my absolute favorite people just a little bit better. No matter your political persuasion, this was an inspiring and fascinating read. I thought To All the Boys I’ve Loved Before was a good book - a fun little read but not something I ever followed up on after reading it back in 2015. But with the sequel to the excellent Netflix adaptation coming up, and listening to so many people rave about the whole series, I decided to grab the two remaining books from the paperback picks shelf at the library. I’m so glad I did! I felt as if, in these two books, Jenny Han did an even better job of delving into such important topics in a young person’s life (family, changing friendships, college, the future) beyond the (still swoon worthy) YA romance. 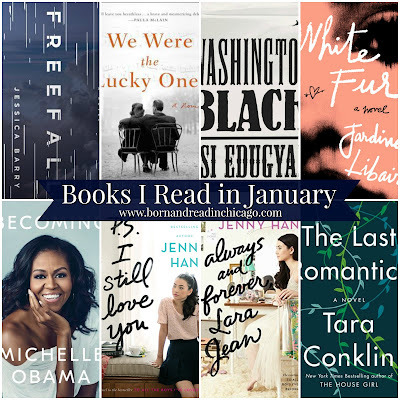 They’re perfect comfort reads that I gobbled up in just a few days. A beautiful family saga that I just loved! Full review here. I went into this one blind, as it was an unexpected advance copy that showed up at my door that I don't remember requesting! I think I might have won it in a giveaway and I didn't remember much about the description, other than it sounded intriguing and I thought The House Girl was a solid read. 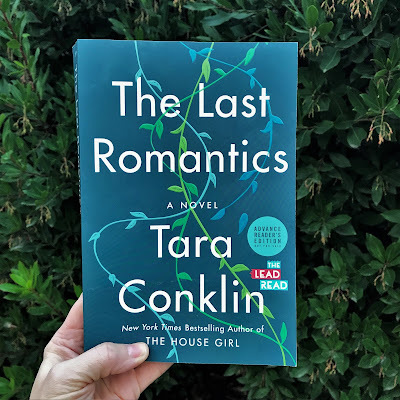 This family drama swept me up and pulled on my heartstrings from the first pages to the last, and I was so glad I had no idea as to what might happen next. The entire book is told from Fiona's perspective, which totally works and I really want to learn more about why Conklin chose the youngest Skinner sibling. Perhaps it's because it's the most probable that she is still alive in 2079, the year in which the first chapter tantalizingly opens in the distant future. Though she is also the poet, the archivist, of her and her sibling's story. It begins in their early childhood, 1981, when Fiona is just four years old and their father has died. I was personally ensnared by the narrative because my own father died in the same year, in the same manner, and I was the same age as Joe. 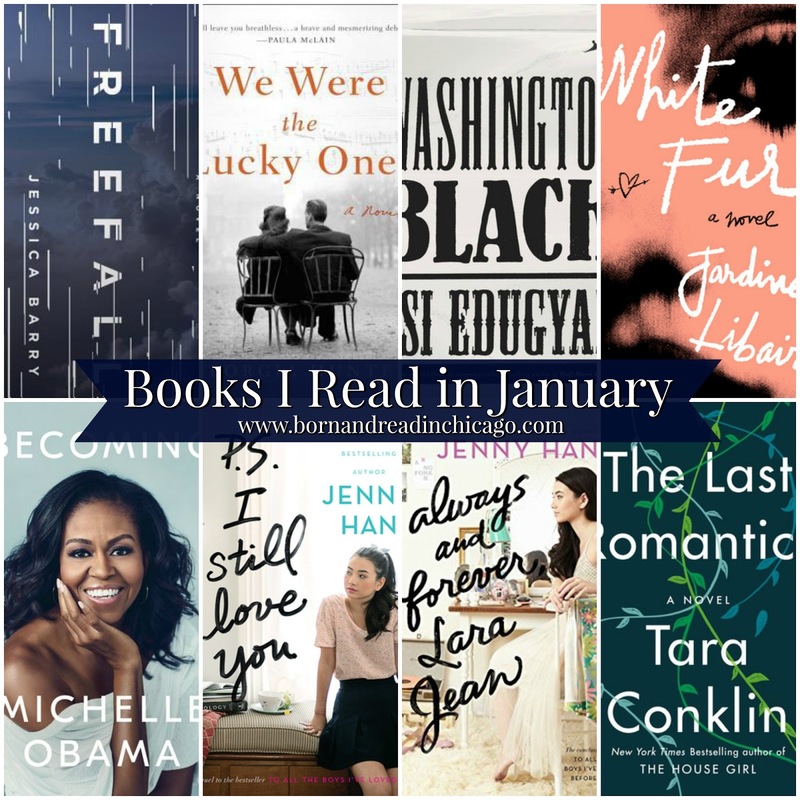 It was so easy to place myself emotionally with each of these characters, as well identify with their time of life. Conklin writing also easily put me in the psyche of the sisters and their mother Noni. It is the enigma that is Joe, the lone boy of the Skinner siblings, that relentlessly drives the story forward as each sister desperately tries to unravel his psyche and straighten out his life. In the process they unravel their own inner demons in profound and startling ways. If you enjoyed The Immortalists or Commonwealth, as I did, this would be a fantastic pick. It also felt reminiscent of Six Feet Under, one of the best television shows ever, which is also centered around a family that is trying to put themselves together after the loss of their father. And in the end, both are concluded from the very distant future in a tear jerking, hopeful and lovely way. Thank you so much to the folks at William Morrow for sending a copy my way, I adored it!